In a calm and asian space. 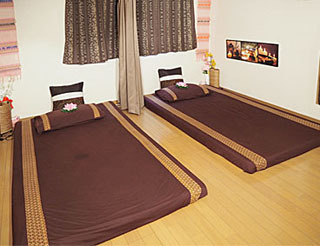 Thai massage Charati is a shop that operates at one apartment. 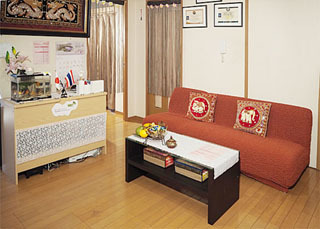 A relaxing living room surrounded by Thai furnishings is accepted and four massage spaces are prepared for each of the two rooms. Shower room is also equipped.